With an increase in military posturing and announcements of new strategic weapon technology, particularly by Russia and China, the US has seemingly stepped up its efforts in hypersonic missile technology arena. 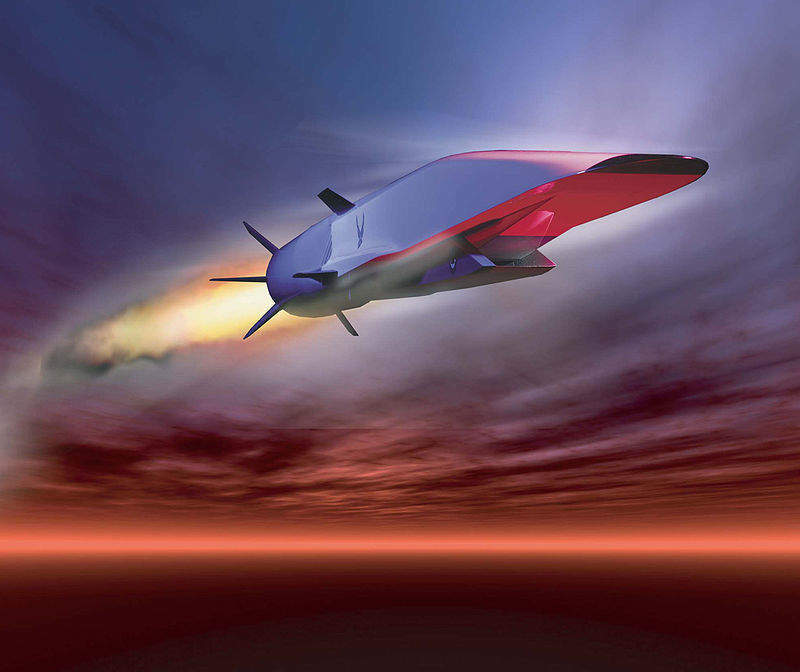 A Boeing X-51 hypersonic cruise missile. Credit: US Air Force. Advances in missile technology have been made in recent months, sparking interest, concern and scepticism in equal measure. Both Russia and China have announced the development of new missiles after years of research and, in some cases, bragging. For the past decade or so, Russian President Vladimir Putin has talked of developing missiles that were impossible to defend against. Speaking earlier this year to a domestic audience, but with far-reaching international overtones, he said the country had developed a raft of new strategic weapons, six to be precise. He added the missile, which flies at Mach 10 (ten times the speed of sound) could be manoeuvred at any stage of its flight, making it more difficult for current missile defence systems to intercept. A short while later China said it had developed the Dongfeng-41 (DF-41) missile system. Announcing the news in the state-run People Daily, the country said the hypersonic nuclear missile, which is believed to have technology that will enable it to evade air defences, could hit anywhere in the world with the range of the intercontinental ballistic missile (ICBM) being larger than any other known missile today. It is believed the system has completed 10 successful test flights so far. Although some commentators have questioned the reliability of the claims made, by Russia at least, there has been concern for some time in Washington that the US was falling behind with missile technology. Gen. Paul Selva, vice-chairman of the joint chiefs of staff, told the Defense Writers’ Group the country had lost its technical advantage in hypersonic missile technology but, he said, it hadn’t lost the “hypersonics fight”. “Going from point A to B it [the missile Lockheed has been tasked to develop] has to have an engine that pushes it through the atmosphere all the time. So a hypersonic cruise missile has to have an engine that can power to five times the speed of sound. This type of engine is a tremendous challenge. The only kind of engine that might work in this type of system is a hypersonic ramjet. It’s very complicated technology; it’s not simple and not developed yet.” says Rubin. Instead, Rubin believes the move by the US is more to do with advances in missile defence technology. Russia, he said, has been working on their new systems because US defences have improved. Whilst the news from the US Air Force and Lockheed Martin suggest they are closer than we knew to finally developing the type of cruise missile they announced, Rubin says he believes they’re still a way off.